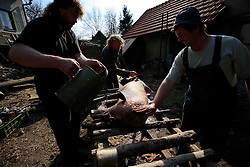 Pork slaughter in the backyard of a farm in Vysocina, Czech Republic. 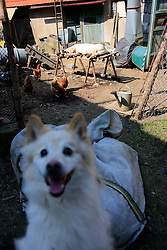 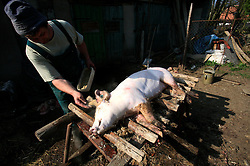 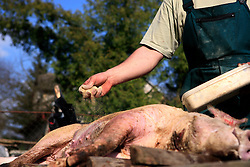 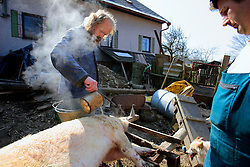 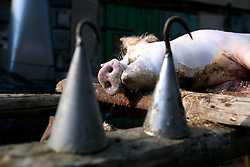 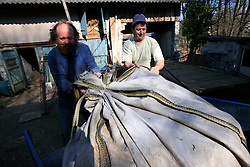 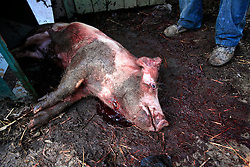 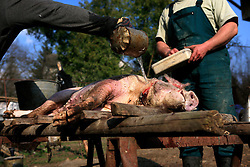 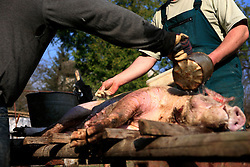 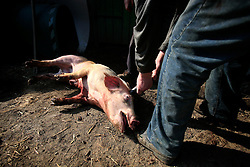 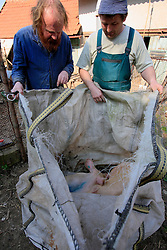 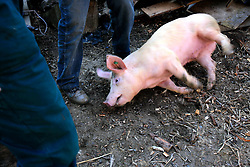 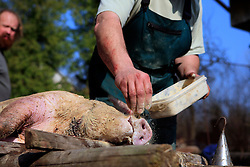 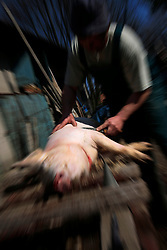 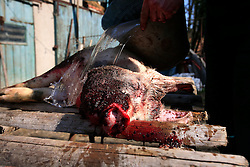 Killing pigs for meat at home is an old tradition in central and eastern Europe. 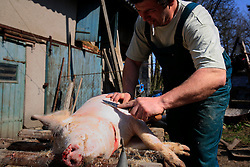 EU regulations and health and hygiene rules state that animals can only be slaughtered by licensed butchers.